Today I’ve got a lively and flavorful concoction for Irish Whiskey Month! Teeling Small Batch is joined by Jamaican Rum, Citrus sherbet, and a bunch of herbaceousness for this exciting tipple. If you wanna join the party, use the hashtag #IrishWhiskeyMonth on Instagram and I’ll repost your photo! The only rule is that you have to include Irish Whiskey in your cocktail. Yeah y’all, my fave split base is back in action! If you haven’t put Teeling Small Batch with Smith & Cross Jamaican Rum, you need to step to it! I wanted to use Citrus Sherbet with Teeling Irish Whiskey and Smith & Crosss cause I thought they would make some serious magic together. Turns out they do! Then I wanted to add some herbaceous notes to the drink to add depth and make things more interesting. Since Amaro CioCiaro has a lot of Orange flavor, it seemed just right to compliment the Sherbet. Lastly, I added Dale Degroff’s Pimento Bitters because they have Wormwood, Anise, and spices. Basically, I wanted to make things even more interesting. Combine ingredients over ice and short shake. Strain into double Rocks glass with ice and garnish. *If 1/2 oz makes the drink too sherbety for you, change it to 1/4 oz and taste. Sherbet dreams y’all! May your Irish Whiskey Month be supremely delicious! Punch. Punch is what’s happening and so my brain has been itching for a different kind of Sherbet to use in the Punches I’ll be making during the cold months. Lemon Sherbet is clearly the most useful and delightful thing ever, but there are more types of citrus in the world than just Lemon. 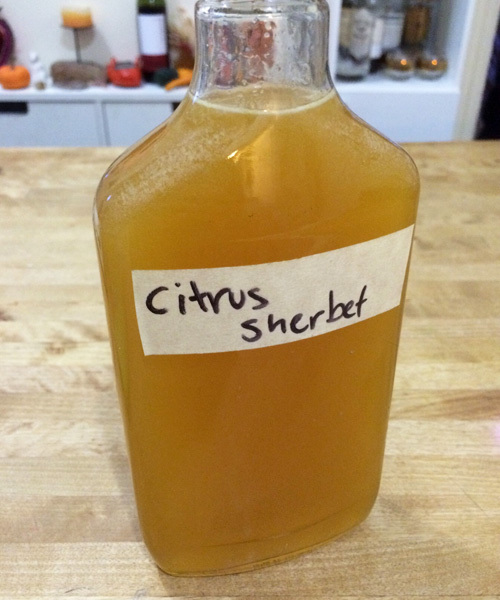 Hence, I have begun a quest to create a totally useful Citrus Sherbet. 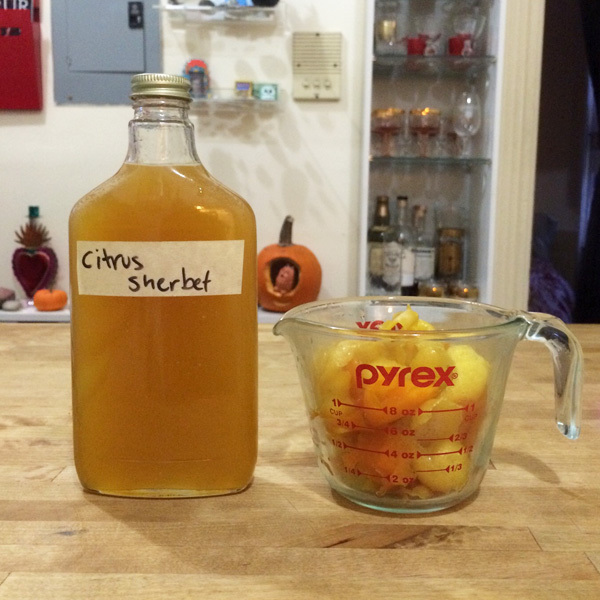 Today, I present Citrus Sherbet #1. Please bare with these iPhone photos, I wasn’t sure that this would turn out properly and didn’t photograph with my real camera. FORGIVE ME! 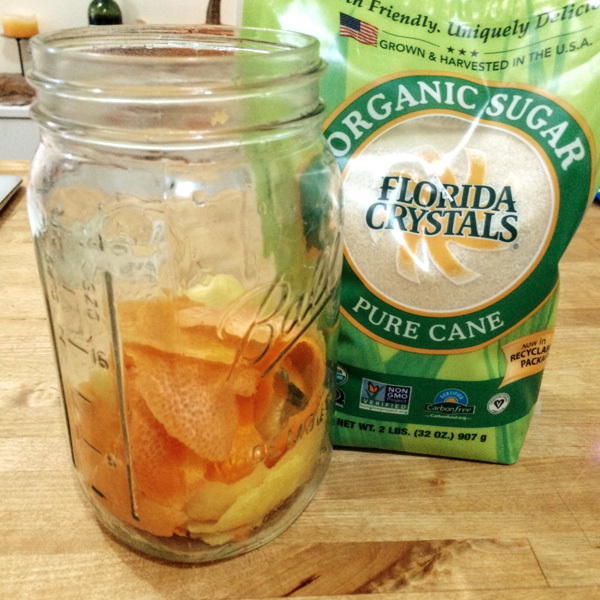 To start, I grabbed a few Lemons, an Orange, a Red Grapefruit and made an Oleo Saccharum with Cane Sugar. Let sit in the jar for several hours or overnight, shaking occasionally. 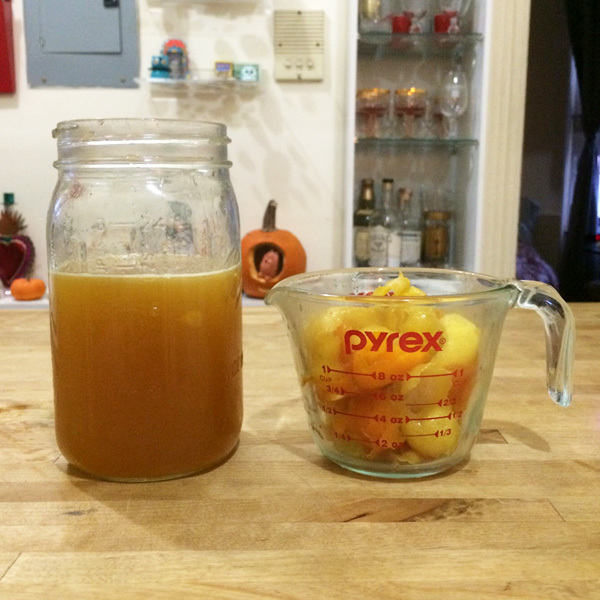 You want a syrup to form from the Citrus oil and Sugar. 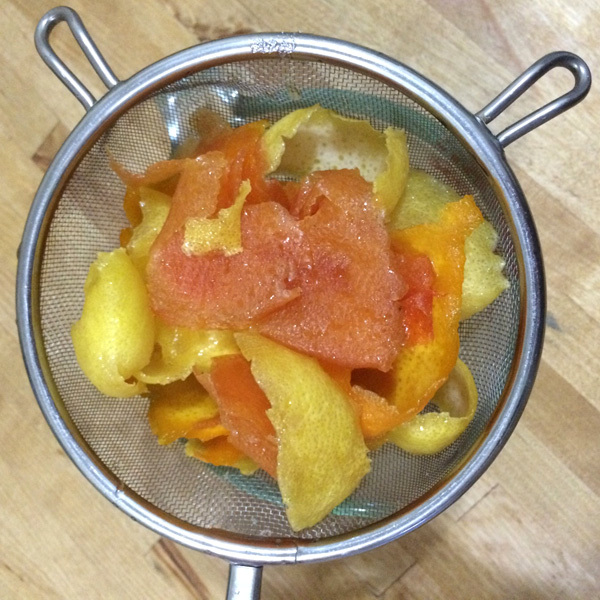 Then it’s time to make Citrus Sherbet #1. *Not Ruby Red Grapefruit, just Red Grapefruit. The juice was still really tart which is important for Sherbet cause if your Sherbet is too sweet, your Punch is nasty. Pretty, pretty peels. Luv u lil peelies. Congrats! You’re done! You’ve got a tart, yet complex Citrus Sherbet and some delicious peels to use as garnishes in your Punches!